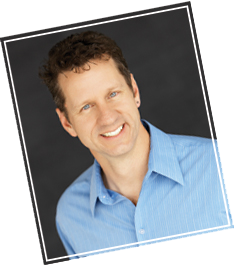 Dr. Eric A. Graves D.C.
Dr. Graves takes a holistic approach to patient treatment. This includes longer appointment times, which ensure he has ample time to conduct a thorough review of the issue, and the underlying causes. His approach covers ergonomics, nutrition, and overall health, to name a few. With this, he designs a customized treatment plan that addresses your specific injury and helps to prevent its reoccurrence. Dr. Graves believes the body is a self healing system and when we get enough sleep, a good diet, exercise and have normal spinal alignment the body will be healthy. The nervous system controls everything in your body from breathing to digestion to walking. If you have misalignments in your spine called subluxations, there will be dis-ease of the nervous system. This dis-ease can cause pain, muscle tightness, loss of motion, abnormal gait but it also can cause allergies, digestion problems and other organ dysfunction. Chiropractic adjustments restore normal function to the spine thus normalizing the nervous system and allowing your body to function optimally. Dr. Graves is a Colorado native from Glenwood Springs. Chiropractic treatment runs in the family - his Dad, brother, uncles and cousin are all in the same field. He spent six years in the United States Marine Corps before pursuing his education in Chiropractic medicine. Taking his own advice, Dr. Graves stays in shape by hiking, biking and skiing.